Sitting on the ride, the tourists can swing, just like flying. It is full of excitement and very safe. The cute animals, novelty and stable performance can attract lots of children. The ride covers a small area can save some space. 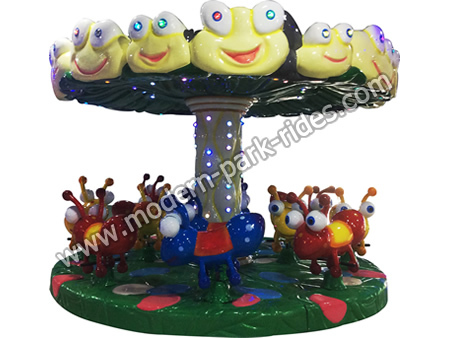 It is popular among kids and can be widely used in the parks, amusement parks, kindergartens, community gardens, villas, shopping malls, supermarkets, Food City, Kids training institutions and other public places of entertainment. We have professional experts in this field and can provide advice on how to do the business and attract tourists. So do noe hesitate to choose us.